On the heels of new agreements with Le Figaro Group and BILD.de we’re excited to announce an exclusive multi-year partnership with the Guardian News & Media (GNM), one of the media industry’s most innovative and forward thinking global publishers. GNM has long partnered with us to provide content recommendations for their audience, but in the coming weeks we’ll be expanding our relationship across the globe, including GNM’s main markets in the UK, US, and Australia. New users, more engagement through quality recommendations, and ultimately, a considerable monetization opportunity is the path we’re continuing on with GNM. We’re delighted they’ve chosen us as their long-term partner in content technology. We will continue to innovate together and look forward to our shared success. 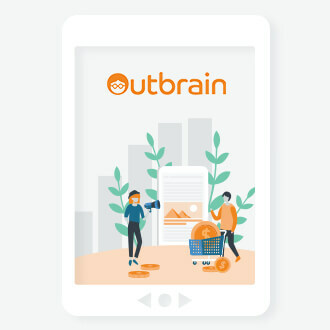 Sarah is Outbrain's European Marketing Director and is responsible for all marketing and communications activity across Outbrain's growing EU territories. Former VP of Marketing & Communications at AOL/The Huffington Post. Sarah was part of AOL’s senior European leadership team and has more than 15 years experience working for some of the world's most reputable companies. Prior to AOL Europe, Sarah was VP Communications International, AOL and a member of Bebo's global leadership team, reporting to CEO, Joanna Shields. In this capacity she was tasked with developing and driving the global corporate/consumer marcoms strategy for the hot youth lifestyle brand alongside AIM, ICQ and number of AOL’s established brands and consumer offerings. Prior to Bebo, Sarah worked for a boutique communications agency where she was part of the management team and headed-up the corporate and B2B division of the company, supporting a wide range of high profile global brands.